New items for 2017 - D&L Antenna Supply - Source for Antennas, LED lights and More! 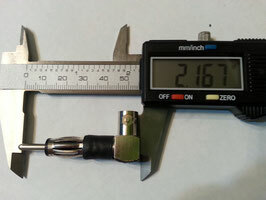 Newly redesigned dual sma mounting counter-poise for most hand helds in use today. 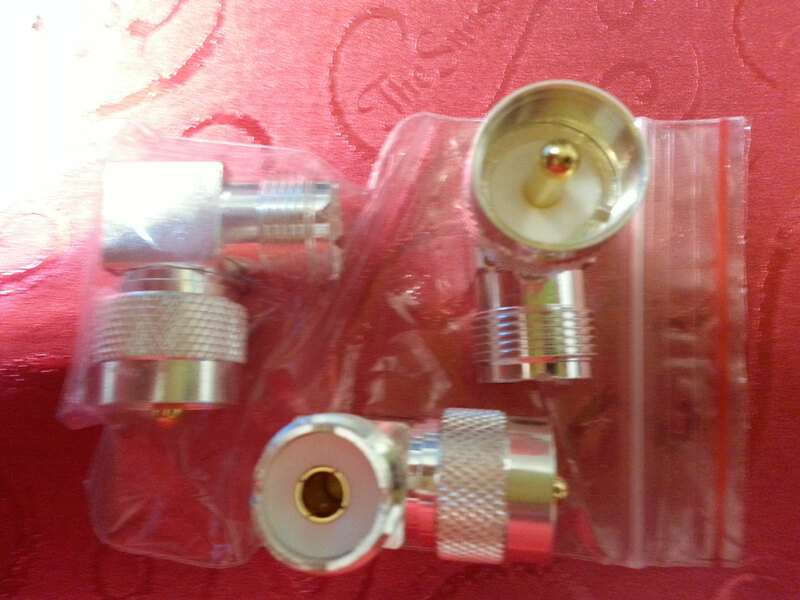 This new device has Sma male or sma female connectors gold plated with teflon center insulators. A 19 inch super flex wire for ease of operation. 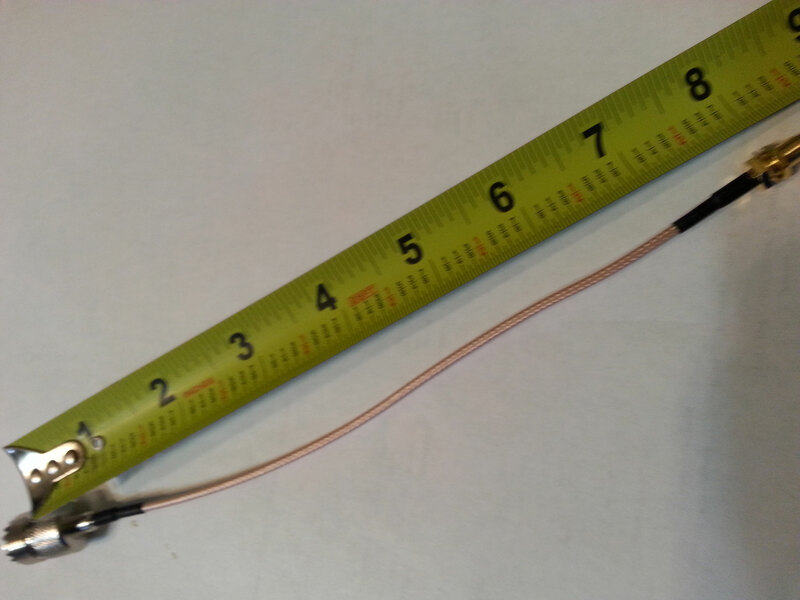 This unit provides the counter-poise most hand radio antennas desire for maximum performance. This has been a proven device for many years and now improved for 2017. New RF adapter Motorola male to uhf female redesigned to make a better connection for grounding. This adapter is built with high quality components. 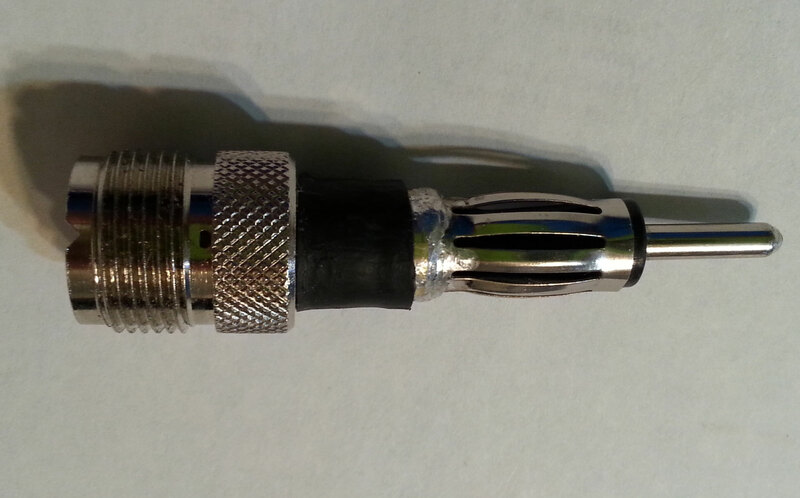 8 inch low loss RF cable with sma female connector to uhf female. 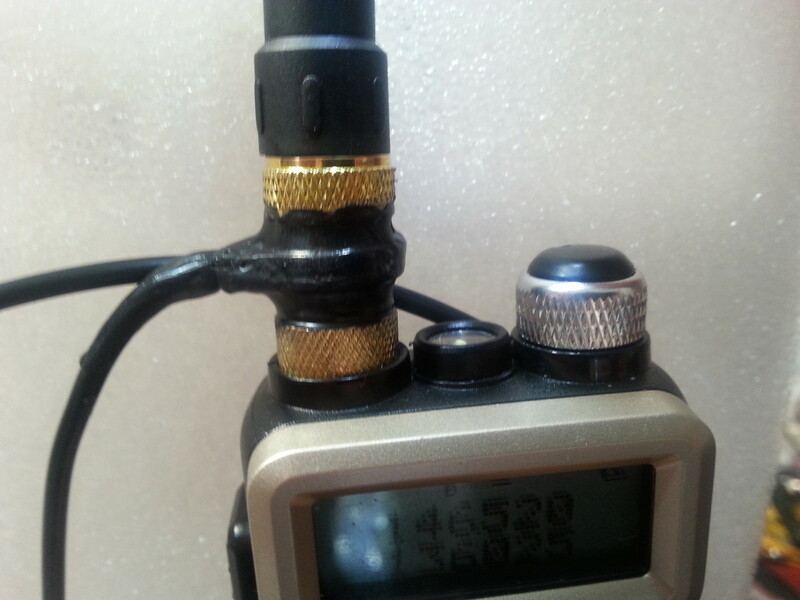 This is an excellent cable adapter for most handheld radio users who want a low stress high flex connection to the radio. The coax is a 50 ohm RG-174 U type cable laminated and stronger than PVC type cable..
One super high quality machined body , not cast, right right angle 90 degree, uhf male to UHF female connector. 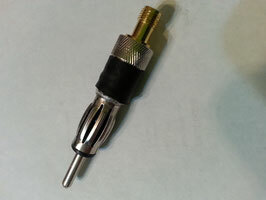 Gold center pin Teflon insulated for high power and heat. Made in Taiwan by a real connector manufacture. a SMA antenna and want to connect to the scanner Motorola port. The adapter is made of high quality parts assembled in the USA. a BNC antenna and want to connect to the scanner Motorola port. The adapter is made of high quality parts assembled in the USA. We have sold dozens of this RF connector kits at hamfests with excellent feedback! The kit will allow you to have many combinations of connector adapters, UHF, BNC, SMA, N. TNC and Mini UHF in both genders setups. Each kit has 2 of each type standard connectors male , female and 6 splicing bodies . 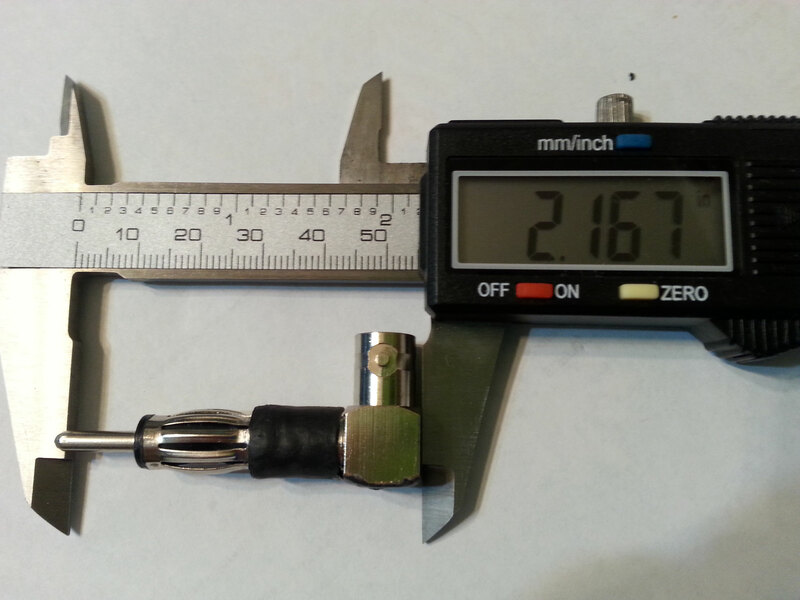 Nickel plated on outside to resist tarnishing and gold center pin for excellent conductance. A compact zippered pouch is included. 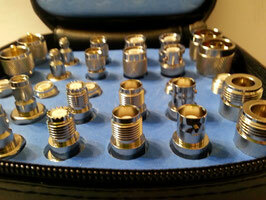 Great field service kit when you need that special adapter you may have forgotten back home. Model UV-2501+220 25 watt mobile transceiver is a compact, fan cooled easy to operate radio. Many units sold at hamfest with great feedback. 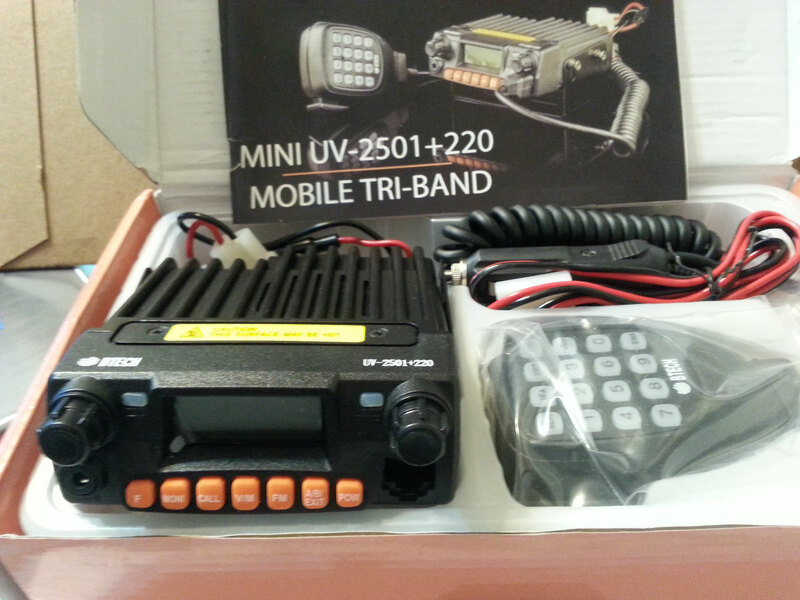 The radio makes a great packer unit, just add 12 volt battery and antenna. 25 watt high power, 10 watt low power with a very easy to listen loud internal speaker. A handy speaker jack is also located in the back of chassis and programming port in front panel for easy access. An optional program cable is available just $20.00 additional dollars. Dual frequency readout and changeable color back screen. A great little radio !